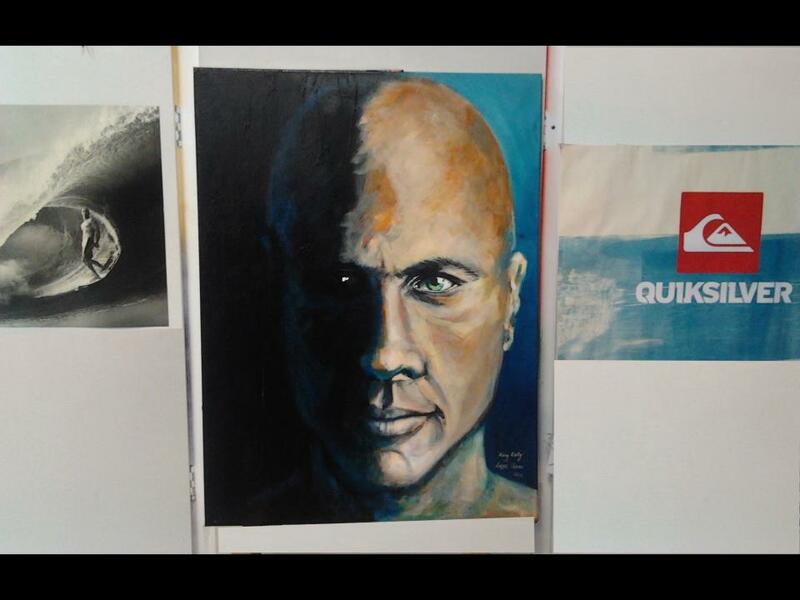 Local artist Lizzi Connor put this portrait of Kelly Slater up for sale. Available at Surf Shop Peregian Beach as part of the Peregian Beach festival this week. To the victor go the spoils. Having moved to the Sunshine Coast Hinterland in 1996, as well as the Sunshine Coast and now Peregian Beach. Lizzi says “I have worked as an art tutor with children, adults and people with disabilities. 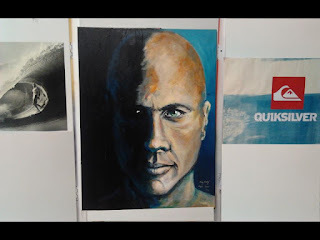 I have worked as an art tutor/youth worker in flexible education programs and government youth programs, both with at “at risk” youth, using art as a tool of engagement as well as a powerful therapeutic tool for marginalized young people”. Read more about Lizzy by following the links.